In this book, sixteen-year-old Carter Vanadian receives a package. It contains the bag of her best friend, Conrad. Inside the bag is a very outdated camera (from sometime in the 1900s), from which Carter gets photos that were taken by Conrad. A while after she receives the bag, she is put in charge of booking the flight to Magnus (a planet) for her Archeology of Outer Space college class’s apprenticeship. Instead, she ends up making the gut-wrenching decision to book it for Thror, (the planet that Conrad disappeared to) even though he had a serious lung condition. She does this without her professor OR her classmates knowing. As time goes by on Thror, Carter’s focus changes from finding Conrad to doing both that AND possibly finding the tomb of King Loreval, the legendary king of Thror’s Golden Age. Carter lets the team (her classmates, their professor, and the four “Furry Giants” who agree to help them) know only partially what is really going on, while she knows a whole lot more than they do about what’s happening. Eventually, the stakes are raised for them as they uncover more and more about the planet, and not all of the secrets Carter uncovers are about ancient Thror. To be honest, at first when I was reading the book, I felt like I was reading it just because I had to. However, as I kept reading, I found myself reading with enjoyment and anticipation of what was going to come next. There were some very exciting parts. One thing I did not like about the book was that it left out a lot of details, but I don’t think that made it a bad book; I guess I’m just the type of person who likes the author to give me a lot of details so I can picture what he/she had in mind. I think that the book was a lot of putting two and two together and was kind of confusing in parts. I think this especially because in order to understand some parts of the book, I had to re-read some lines; because of this, I think that Blakeney could have written parts of the book with more clarity. On the other hand, the book was also funny and brought a smile to my face quite a few times. Another reason why the book was fun for me to read was because it took place in the year of 2222, and it involved made up planets; I like books like that. Overall, it was a pretty good book, and I’m glad I read it. 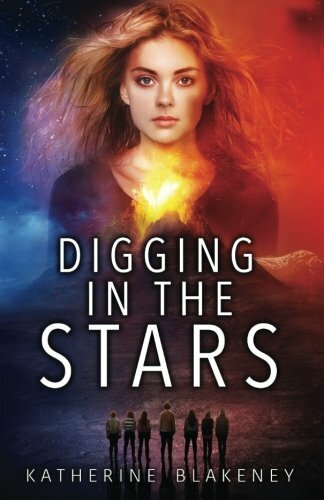 I recommend the novel Digging in the Stars for readers who like mystery, adventure, and some science fiction. There are some swear words.